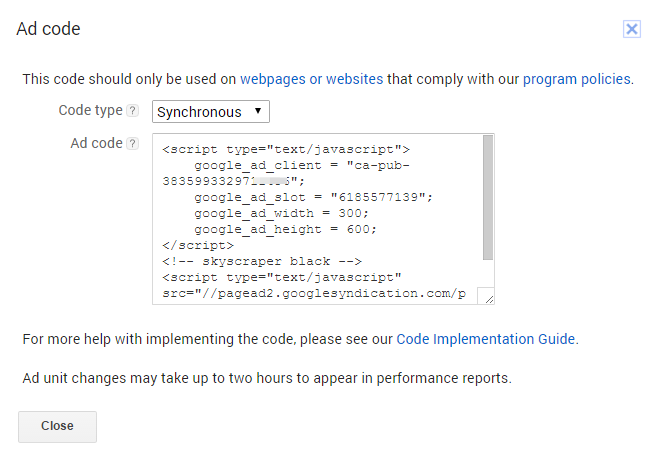 Google introduced asynchronous loading AdSense ads in 2013 as part of their beta program. These ad loading technology led to much faster content loading and as a result to a better usability of websites. Today, asynchronous loading is the most used standard for ad loading but there are good reasons why it’s sometimes still preferable to use synchronous loading ads. 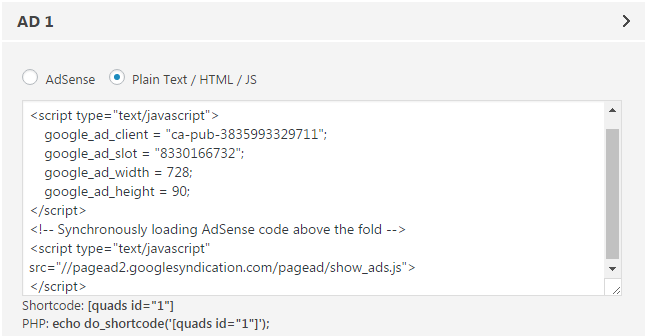 Than go to WP QUADS PRO->AdSense Code and select the ad which is located above the fold on mobile devices. Usually that’s the one located in the header of your site or the first ad in your content. Save the settings, you are done!